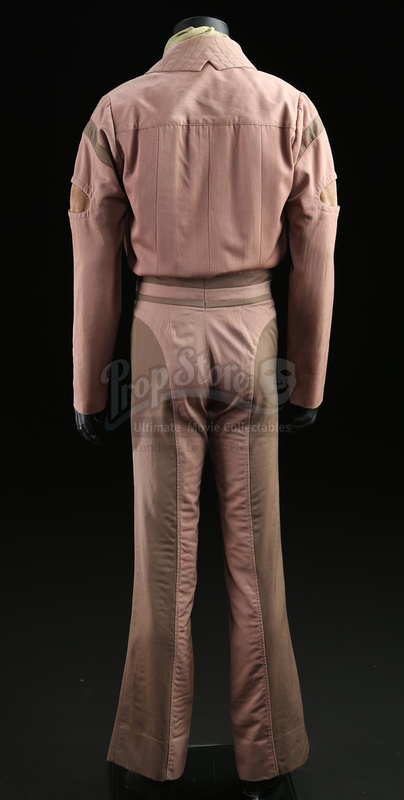 Dr. Leonard 'Bones' McCoy's (DeForest Kelley) costume from Leonard Nimoy's sci-fi sequel Star Trek IV: The Voyage Home. 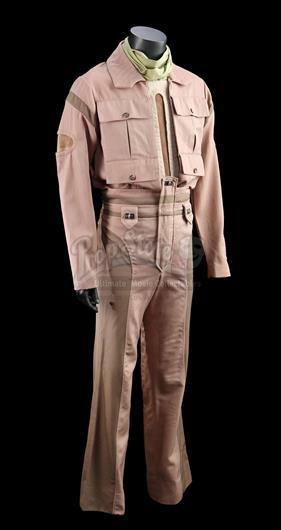 In the film, the crew of the USS Enterprise travelled back in time to save Earth from an alien probe. McCoy wore his tan suit throughout the fourth Star Trek film as the crew trekked through San Francisco. 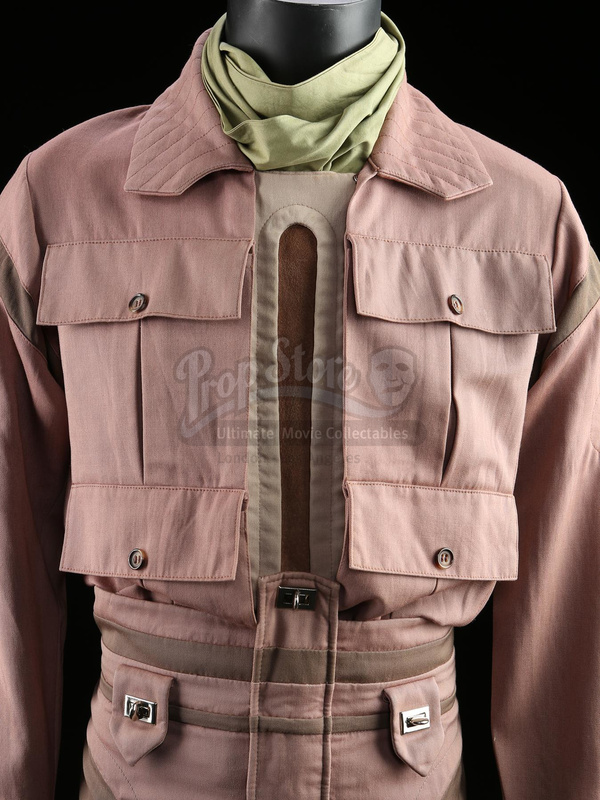 The lot includes a scarf, jacket and a pair of trousers made of a cotton and polyester blend. 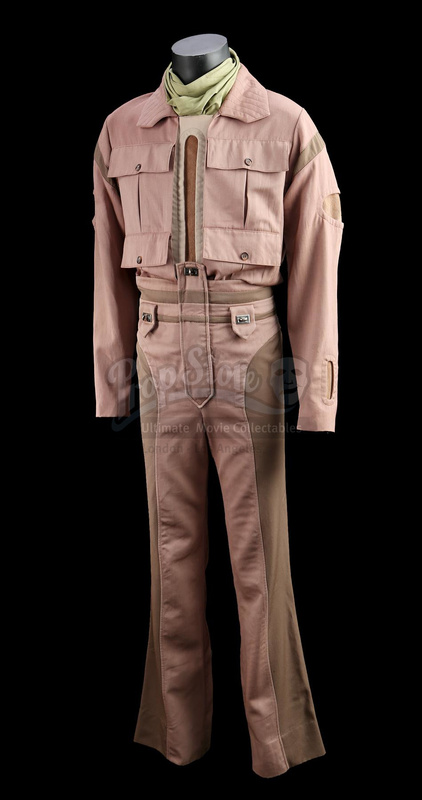 The trousers were likely reused in this film from its predecessor Star Trek III: The Search for Spock. 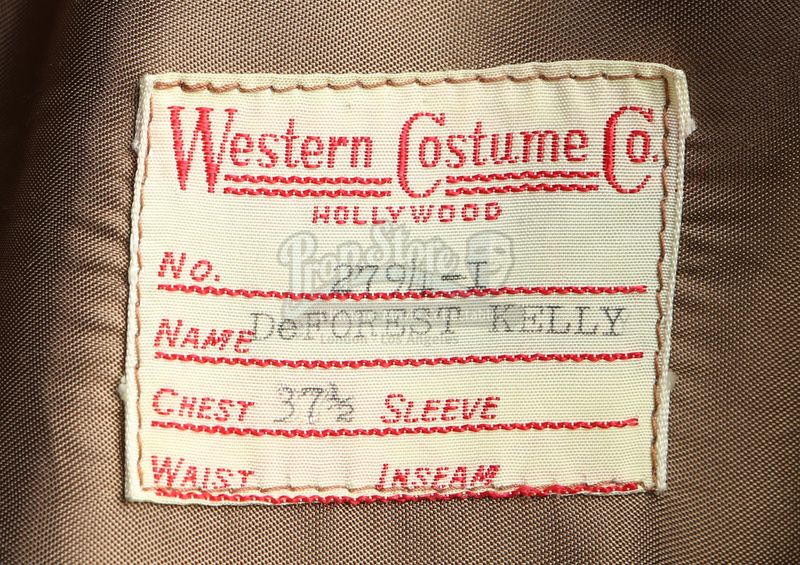 The jacket and trousers include sewn-in wardrobe labels reading 'DeForest Kelley' and list his wardrobe measurements. 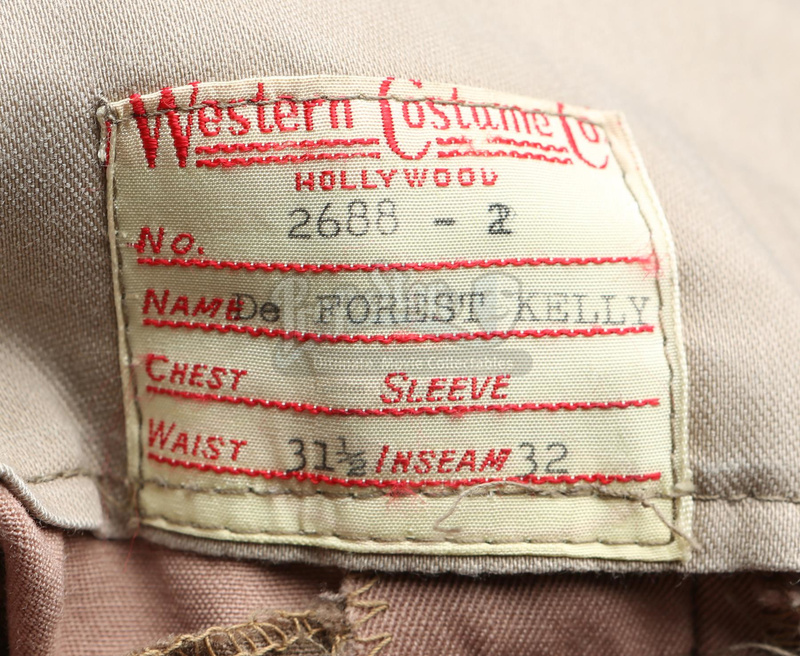 The lot shows minor wear and discolouration from age, but remains in fine condition.